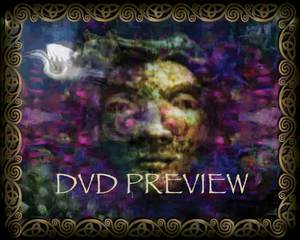 A magical journey through Celtic Mythology with high resolution digital video & audio. Animated mystical symbols, sacred places, and mythical creatures intertwine with layers of translucent video and the brilliant colors of Celtic Art by Welsh artist Jen Delyth. Soundtracks weave contemporary and traditional Celtic music with ancient and modern poetry by Gilli Smyth, Dylan Thomas, Robert Graves, John & Caitlin Matthews, Hildegard de Bingen 12C Taliesin(6th C) & Fiona Macleod. Experience the Celtic Mysteries through the inspirational visuals evocative music and ancient poetry of Beyond the Ninth Wave. Otherworldly Birds, animated mystical Symbols and sacred Places intertwine with layers of translucent video and the brilliant colors of Celtic Art by renowned Welsh artist Jen Delyth. Ancient voices of the Poets speak through well loved performer Gilli Smyth, known for her haunting seductive voice and lyrics. Complex ethereal soundtracks weave original & traditional Celtic music into contemporary soulful compositions. The high quality digital translucent layered images and brilliant colors of the animations intertwine with the poetry of ancient and modern Celtic voices. Viewers will be entranced by the inspirational visuals, and evocative music, and can follow their interest in the underlying symbolism with interactive access to over 100 pages of text explaining the background mythology and poetry. This interactive DVD is designed in 9 chapters each containing a beautiful animation film, and exploration of the Symbols & Poetry. The short films are richly layered, and feature Celtic artwork and film by Welsh artist Jen Delyth. Animated layered images paint themes from within the heart of Celtic mythology, illustrating the Celtic poetry that is brought alive by the music. "Beyond the Ninth Wave" Menus to give the viewer navigational interactivity throughout its unique "story book" layout." “What a wonderful, luminous presentation! Beyond the Ninth Wave really brings the spirit of Celtic vision and imagination to life". I recommend this DVD to anyone interested in the lore and life of the Celts"
"While it could have lapsed into touchy feely stuff, it doesn’t, as it entertains, enlightens and charms. A fun and often heart warming experience that unexpectedly comes from the educational side". "Here's something different: Celtic artist/animator Jen Delyth teamed up with vocalist Gilli Smyth (the 'mother' of the psychedelic band Gong), and a host of artists, musicians, and dancers to create a truly multi-media portrayal of nine Celtic myths and spiritual concepts.At times inspiring, at times a bit like watching Druids on acid, this DVD is for the more open-minded and adventurous viewer of matters Celtic. "I can't rate this highly enough, it is simply the best setting for Gilli's unique invocational work that I have come across - Brilliant!" "Thank you for the work you and Gilli (who has such a dreamy voice!) and all the others put such an incredible amount of talent into your DVD. I wanted to tell you how very VERY much I enjoyed every minute of it…. Thanks you soooo very much… " Namaste, Morrigan Anderson - customer.